Of all the sub-segments of the exploding mobile health industry, fitness apps seems to be the one best suited for entrepreneurs willing to go the bootstrap route rather than raising significant venture capital to develop their products/services. I have previously covered San Francisco-based fitness app developer Skimble, which was a member of the inaugural Rock Health class, which was able to achieve profitability less than one year after launching. El Cerrito, CA-based SkyHealth, developer of Fitness Buddy (@fitnessbuddyapp), the top rated paid fitness app in the iOS marketplace, was also able to take the lean startup approach and achieve profitability without investors by developing a product users were willing to pay for and growing to an impressive 5 million downloads. 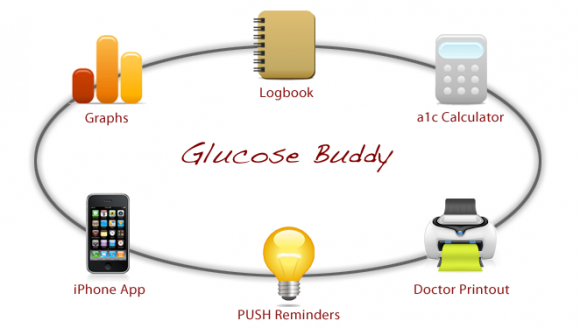 Founded in 2010 by Tom Xu, who put medical school plans on hold to “concentrate on bringing groundbreaking mobile solutions to the diabetes market,” the company also created the popular Glucose Buddy (@glucosebuddy) app which simplifies the process of coding after each blood glucose reading. As it turns out, the sacrifice and hard work has paid off for the SkyHealth group as they have announced their acquisition by mHealth developer Azumio (@azumioinc). Terms of the deal were not disclosed, but its reasonable to assume Xu and his small team at SkyHealth came away from the deal with a much bigger payday than they would have if they had raised one or more rounds of angel/venture funding. As part of the deal, Xu will join Azumio as head of product development. Palo Alto-based Azumio claims more than 25 million downloads of its apps, which include Instant Heart Rate, Stress Check, Stress Doctor, and Sleep Time, and now with the addition of SkyHealth’s apps the company is poised to launch a fitness dashboard to give patients a more complete picture of their overall health. It’s not a far stretch to imagine Azumio could open up this dashboard to other sensor devices in the near future as well.